Picked this one up at walmart, i think it's a new collection, but it didn't have it's own display, they were actually stuffed in a sally hansen endcap. So if you're looking for it you may have to do some searching. 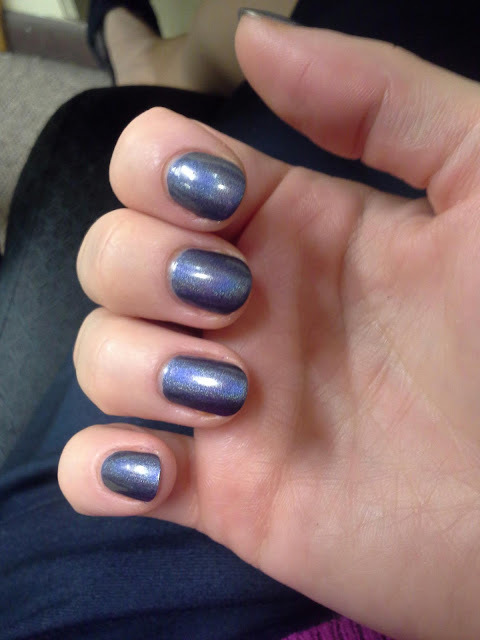 I was hoping it would be similar to opi ds glamour, but the holo falls kinda flat. It's a pretty denim color but it lacks the depth that most holos have, not sure how the rest of the colors in this collection compare, but this is definitely not a must have.